Thanks to the French Tona Rider Maureen Castelle, we discovered Mormaii which is a Brazilian brand which has a range of nice women’s neoprene pieces and which we think might be of interest to you. It is going to be a glittery summer… and your feet will make you shine! The unconditional espadrilles, a timeless classic, will be super trendy with glitter and also with platforms. La Méricaine cape is a fashion & beach accessory that is going to become your best friend after your late sunset sessions this summer. Femi Pleasure is sharing with you behind the scenes pictures of the first Femi Pleasure movie directed by Szymon Pawlik, “6800 miles to the sun”. We finally introduce you to the long awaited Guilla Brazil Surf Suits for you and your baby. With a chance to WIN A SURF SUIT. Original designs and super comfortable, Nikki wetsuits adds a bit of colour to the black and sad everyday neoprene. 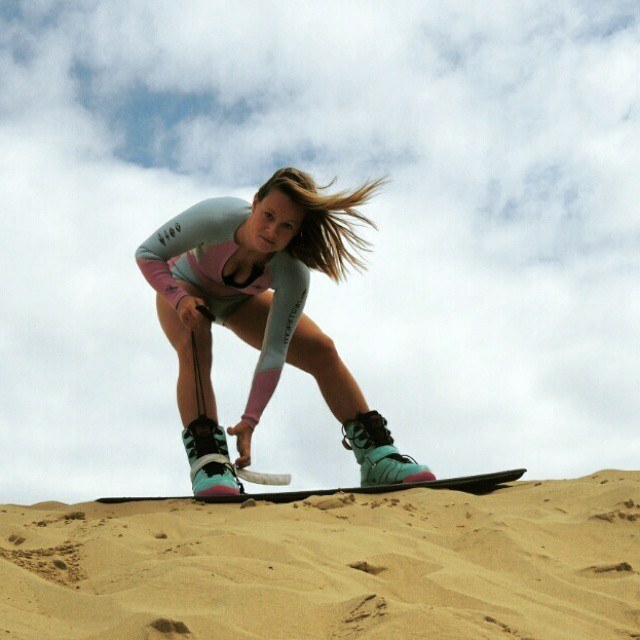 She is Milla Ferreira and she is a proper bomba Latina and more than that she is also a talented kitesurfer and surfer riding for F-ONE Kites. We found this image from our lovely KiteSista Team rider Katarzyna Lange this morning and we just fell so in love with her choices of outfit that we thought it might inspire you for your next kite trip! We love the new Body Glove 2015 collection. So let us introduce you to their Breathe Activewear collection and see if you are as impressed as we are. If you spend most of your time on the water or ripping up the tarmac with your skateboard you can’t think about nail polish, now you can thanks to ORLY Gel FX Nail Polish you can. We love the new Body Glove 2015 collection. So let us introduce you to their bikinis collection and see if you are as impressed as we are.